This morning we visited Vermilionville Living Museum & Folklife Park. From there, we hurried on to meet our guide for our afternoon adventure – a 'Cajun Food Tour'. I've never heard of a food tour. I stumbled on to this one while looking over the Lafayette Chamber of Commerce promotional website several weeks ago. What better way to learn about and taste some real Cajun food? I made a reservation right then and the Hank Williams song has been running around in my head ever since. Well, today is the day. 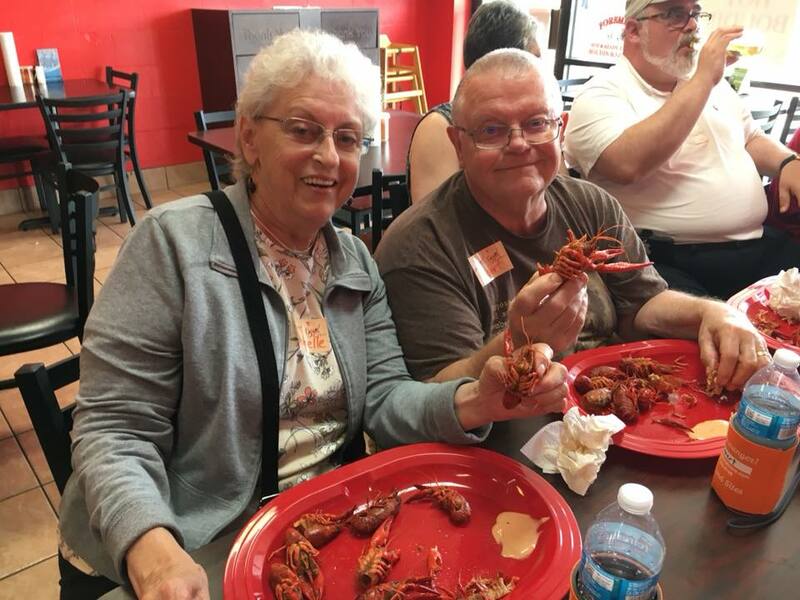 No better way to introduce Marie and 'Cajun Food Tours' than to let her speak for herself. So I took the following snippets from her website which I hope you will visit. My name is Marie and I am happy to call myself Cajun! I am especially proud of our uniquely incredible food! I can’t stand the thought of anyone coming to this city and not tasting our local favorites. 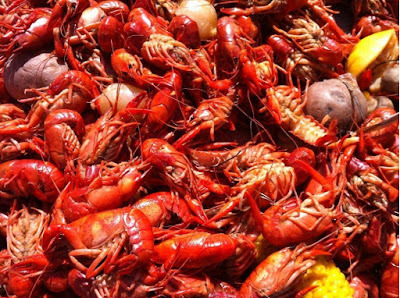 Everyone who lives here does it; we either cook our own Cajun treats for our visitors or we drag them all over the five-parish area, making sure they experience what we get every day. In November of 2010, I went on my first food tour in Baltimore, MD. After a couple more tours, I thought “Our food is so much better than this; someone really should do this in Lafayette!” Finally, I realized that someone was going to be me! So, I quit my job and bought a bus! Marie and her bus picked us up at the appointed time and place for our 'three-hour tour' (sounds like Gilligan's Island), where we would make five stops to enjoy Cajun cuisine. Surprise! Our first stop was right back where we had just left – La Cuisine de Maman Restaurant at Vermilionville Living Museum & Folklife Park. This time the restaurant was open and waiting for us. Here we enjoyed a cup of Gumbo and freshly baked biscuits while learning about Cajun Gumbo. The portions were modest, but still, my thought was that I can't handle this five times. We certainly won't be eating supper tonight. Earl's Cajun Meat MarketFrom the street, Earl's looks like a convenience store or a neighborhood grocery store. However, it is actually a specialty meat market featuring Cajun meat products. Our taste treats were Boudin and Cracklins. Boudin is various kinds of sausage in French, Luxembourg, Belgian, German, Quebec, Acadian, Creole, Surinamese Creole, Austrian and Cajun cuisine. Boudin blanc: A white sausage made of pork without the blood. Pork liver and heart meat are typically included. In Cajun versions, the sausage is made from a pork rice dressing (much like dirty rice), which is stuffed into pork casings. Rice is always used in Cajun cuisine, whereas the French/Belgian version typically uses milk, and is therefore generally more delicate than the Cajun variety. In French/Belgian cuisine, the sausage is sauteed or grilled. 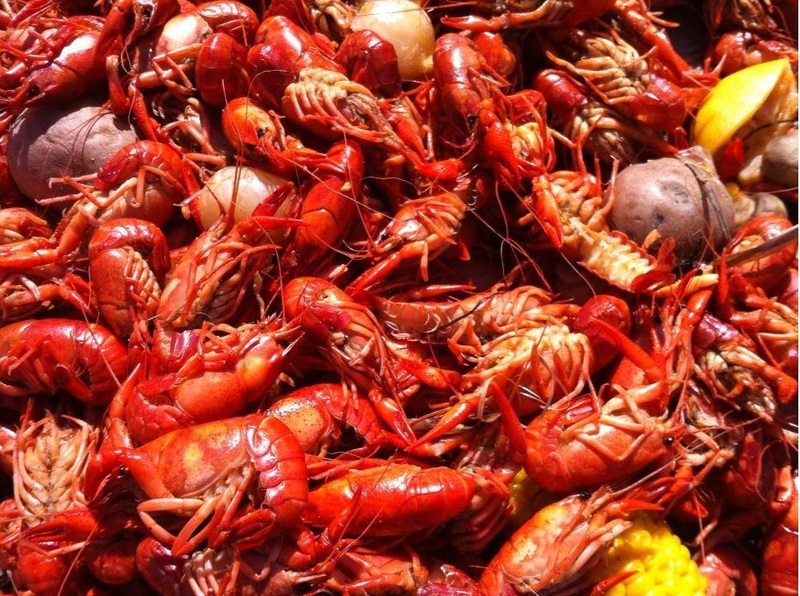 The Louisiana version is normally simmered or braised, although coating with oil and slow grilling for tailgating is becoming a popular option in Lafayette, New Orleans, Houston, Beaumont, and Baton Rouge. Cracklings aka pork rinds, is the American name for fried or roasted skins of pigs, geese or other animals, regardless of the status or amount of pork in the snack. Pieces of fried meat, skin, or membrane produced as a byproduct of rendering lard are also called cracklings. Cracklings consist of either roasted or fried pork rind that has had salt rubbed into it and scored with a sharp knife: "a crackling offers a square of skin that cracks when you bite into it, giving way to a little pocket of hot fat and a salty layer of pork meat." Cajun cracklings (or "cracklins") from Cajun cuisine (called gratons in Louisiana French) are fried pieces of pork fat with a small amount of attached skin, flavored after frying with a mixture of peppery Cajun spices. Pork rinds normally refer to a snack food commercially sold in plastic bags. They are made in a two-step process: pork skin is first rendered and dried, and then fried and puffed. These are also called by the Mexican name, chicharrón, in reference to the popular Mexican food. My verdict: Boudin – delicious; Cracklins – not interested, one taste was plenty. On to our third stop. Bon Temps GrillBon Temps Grill serves alcohol. Several of us ordered a drink while waiting for our surprise Cajun treat. My fear that we would not get to eat crawfish was put to rest as we pulled up to stop #4. One couple in our group was from The Netherlands. They were having a ball on this strange adventure. Very delicious but a lot of waste. Each tail was one bite. Wash your hands before you leave. Our last stop was a bakery. I must admit that surprised me. 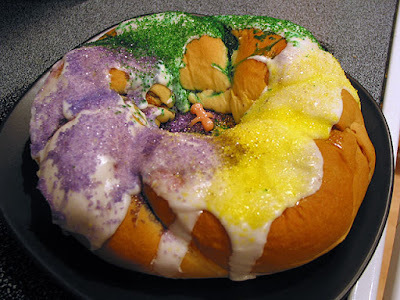 A king cake (sometimes shown as kingcake, kings' cake, king's cake, or three kings cake) is a type of cake associated in a number of countries with the festival of Epiphany at the end of the Christmas season; in other places, it is associated with the pre-Lenten celebrations of Mardi Gras/Carnival. What started out roughly 300 years ago as a dry French bread–type dough with sugar on top and a bean inside now comes in many varieties depending on the country. Some king cakes are made of a sweet brioche dough in the shape of a hollow circle with a glazed topping sprinkled with colored sugar. Hundreds of thousands of King Cakes are eaten in New Orleans during the Carnival season. In other countries, king cakes are made with a puff pastry, filled with one of several fillings (e.g., almond, apple, chocolate/pear, etc. ), and have a small figurine hidden inside. The figurine changes from bakery to bakery and often represents a hit movie or other cultural icon. The cake often has a small plastic baby (to represent the Baby Jesus) inside or underneath; and the person who gets the piece of cake with the trinket has various privileges and obligations. "Jambalaya (On the Bayou)" is a song written and recorded by American country music singer Hank Williams that was first released in July 1952. The melody is based on the Cajun song "Grand Texas." Williams recorded the song on June 13,1952 at Castle Studio in Nashville with backing provided by Jerry Rivers (fiddle), Don Helms (steel guitar), Chet Atkins (lead guitar), Chuck Wright (bass) and probably Ernie Newton (bass). After Williams released his version, Cajuns recorded the song again using Cajun instruments. However, they used Williams' lyrics translated into the Cajun French language. "Jambalaya" remains one of Hank Williams' most popular songs today. International, translated or derived versions do exist at least in Chinese, Dutch, Finnish, French, Italian, Polish, German, Spanish, and Estonian.